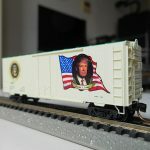 Kitbashed from U30C, custom painted. 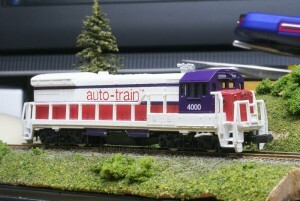 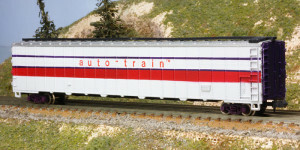 Bachmann auto-carrier in original paint. 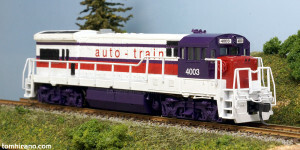 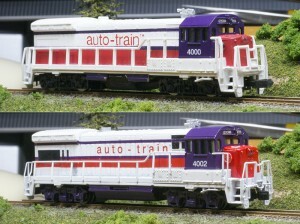 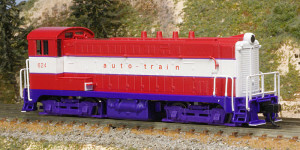 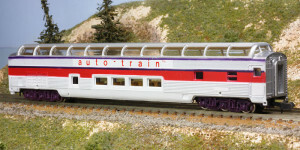 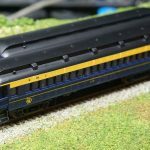 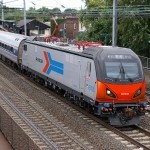 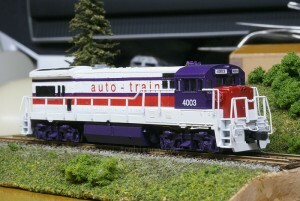 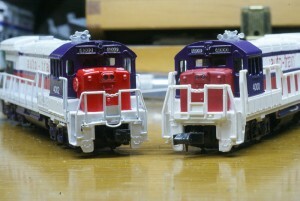 Bachmann full-dome car in original paint.